The Evangelical Lutheran Synod (ELS) is a US-based Protestant Christian denomination based in Mankato, Minnesota. It describes itself as a conservative, Confessional Lutheran body. The ELS is in fellowship with the Wisconsin Evangelical Lutheran Synod (WELS) and is a member of the Confessional Evangelical Lutheran Conference (CELC). The Evangelical Lutheran Synod teaches that the Bible is the only authoritative and error-free source for doctrine. It subscribes to the Lutheran Confessions (the Book of Concord) not in-so-far-as but because it is an accurate presentation of what Scripture teaches. It teaches that Jesus is the center of Scripture and the only way to eternal salvation, and that the Holy Spirit uses the gospel alone in Word and Sacraments (Baptism and Holy Communion) to bring people to faith in Jesus as Savior and keep them in that faith, strengthening them in their daily life of sanctification. There are approximately 19,945 baptized members in 142 established congregations and 12 mission churches. The current president is the Rev. John Moldstad, M.Div., S.T.M., who has been serving since 2002. Note that the ELS uses the term synod differently from the Evangelical Lutheran Church in America and is a separate denomination. Herman Amberg Preus, (1825–1894), a key figure in organizing the Norwegian Synod. 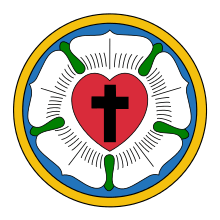 The Evangelical Lutheran Synod traces its history back to 1853 when the "Norwegian Synod" was organized in the Midwestern United States. They practiced "fellowship", a form of full communion, with the Lutheran Church–Missouri Synod (LCMS) during the 1850s and 1860s. In 1872, they along with the LCMS and the Wisconsin Evangelical Lutheran Synod (WELS) formed the Evangelical Lutheran Synodical Conference of North America. In 1917, the Norwegian Synod merged with two other Norwegian Lutheran groups and formed the Norwegian Lutheran Church of America, later named the Evangelical Lutheran Church. This led to disagreement among members of the Norwegian Synod. The people who became the ELS had concerns regarding fellowship with those who did not share the same doctrine. The Norwegian Synod had taught that conversion and salvation were entirely the work of God without any cooperation from humans. The new merged church allowed that conversion depended in some degree on humans accepting God's grace. A group of people therefore gathered at Lime Creek Lutheran Church near Lake Mills, Iowa, in June 1918 and reorganized as the Norwegian Synod of the American Evangelical Lutheran Church (also known as "Little Norwegian" Synod) The name was later changed to the Evangelical Lutheran Synod in 1957. In 1993, the ELS and WELS, working with a number of other worldwide Lutheran churches, some of which had been founded through mission work by both synods, founded the Confessional Evangelical Lutheran Conference (CELC). The Evangelical Lutheran Hymnary (ELH) is a hymnal created by the Evangelical Lutheran Synod in 1996. The Norwegian heritage of the ELS is evident in this hymnal, although a broader ethnicity is clearly represented. From the indexes located in the back of the hymnary, on pages 926ff entitled "Translated Hymns", it is clear that the majority of the hymns come from German, Scandinavian and Latin sources, however Greek, Czech, French, and other sources are also present. The cover of this hymnary is black with a gold imprinted logo on the front cover. The logo used is a Latin cross with budded arms superimposed over a lyre, on a diamond-shaped background. Inside these covers one finds more than hymn texts: The Church Year is summarized; followed by the full texts of the Augsburg Confession; the texts of the Apostles' Creed, the Nicene Creed, and the Athanasian Creed; and the Small Catechism by Dr. Martin Luther. Prayers are included as well as four different rites of The Divine Service. The Divine Service: Rite One is based on the Danish Ritual of 1685; The Divine Service Rite Two is from the Common Service from 1888; The Divine Service: Rite Three is a new setting by Dr. Alfred Fremder; and The Divine Service: Rite Four is the Lutheran "Chorale Mass". Other services included here are The Office of the Prime, Matins, Vespers, Compline, and others. A Service of Private Confession and Absolution is also included. Psalms, canticles, and other resources are also found here. While most American Lutherans are familiar with a joint confession of sins followed by a spoken absolution from the pastor, this hymnary features an optional Individual Absolution (on page 43). Before each worshipper hears the word of absolution, the pastor says, "Upon this your confession, come forward to the altar of the Lord and receive the declaration of the forgiveness of all your sins. The communicants come forward and kneel at the altar rail." A total of 602 hymns appear in this work. Some appear merely as lyrics with only a suggested tune listed, others include musical notation. The text is enriched by language like that in the New King James Version. In 1927, the ELS formed Bethany Lutheran College in Mankato, Minnesota. 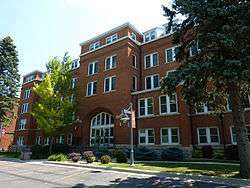 In 1946, it established its own seminary, also in Mankato, called Bethany Lutheran Theological Seminary. Throughout its history, ELS congregations have actively sponsored Christian elementary schools. The synod carries on an active home mission program and now has more than 140 congregations in many states. It also has foreign missionaries laboring in Peru and Chile in South America and in Ukraine, Latvia, and Czech Republic in Eastern Europe. Evangelical Lutheran Synod Worship Committee. Evangelical Lutheran Hymnary, Mankato, MN: Morning Star Publishers, 1996. pp. 3, 43, 926-928. MacPherson, Ryan C., Paul G. Madson, and Peter M. Anthony, eds. Telling the Next Generation: The Evangelical Lutheran Synod's Vision for Christian Education, 1918-2011 and Beyond, Mankato, MN: Lutheran Synod Book Company, 2011. Preus, J. A. O. Jr. "Protesting Norwegians" in Omar Bonderud and Charles Lutz (eds.) America's Lutherans. Columbus OH: Wartburg Press 1958. pp. 52–53.